From Software aren’t exactly known for lobbing out lifebelts left, right and centre, but that’s exactly what they’re doing for owners of Dark Souls: Prepare to Die edition. The developers have made it possible for players to migrate their copy of the game, along with its saves and achievements, from Microsoft’s uncertain Games for Windows Live platform to Steam. Players will be able to redeem the tokens found on Games for Windows Live’s ‘support’ page for free on Steam. There’s no deadline for doing so – but Bandai Namco won’t guarantee that your saves and achievements will hang around forever. “In the month of November, there will be a period by which Games for Windows Live Dark Souls: Prepare to Die Edition users will be able to transfer their Save Data (characters + progress) and Achievements over to their Steam accounts,” they write. Specific migration dates will be made available soon. Games for Windows Live rankings won’t be transferred to Steam, for fairly obvious reasons. 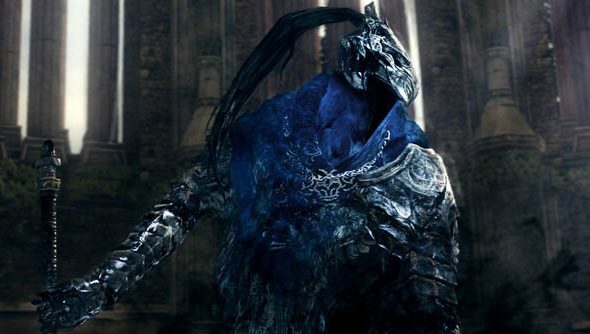 Bandai Namco had previously insisted that Dark Souls would be “functional” on Games for Windows Live for the “foreseeable future”. What’s changed about that, exactly, we don’t know. In June, Microsoft protested that they would continue to support Games for Windows Live – but developers have continued to flood from the platform to Steam, including Microsoft’s own Twisted Pixel. Do you think you’ll revisit Lordran in its new location? Perhaps try out some of the best mods for Dark Souls on PC?